JAKARTA: Indonesia´s disaster agency spokesman is fighting a daily battle to update the world 24/7 on the latest developments in a deadly quake-tsunami, despite his own impending date with death from terminal cancer. Sutopo Purwo Nugroho, known affectionately as Pak Topo (Mr Topo), is the face of the government´s communication efforts to get word out on the devastating crisis on Sulawesi island that has killed over 1,400 people. The 48-year-old refuses to pass the torch, dragging himself to daily press briefings, taking reporters´ calls and communicating on social media at a frantic pace, even as he "feels weaker every day" from Stage IV lung cancer. "I can´t lie about my physical condition --- the cancer has spread to other parts of my body and it´s weakened my body," he said in a heart-wrenching message to reporters on social media this week. Pale and visibly thinner, Nugroho got the grim news in January that he was dying and might have as little as a year to live. Nugroho has reportedly promised his wife to slow down his work schedule but he is showing few signs of easing up in a job that has made him a household name in disaster-prone Indonesia. 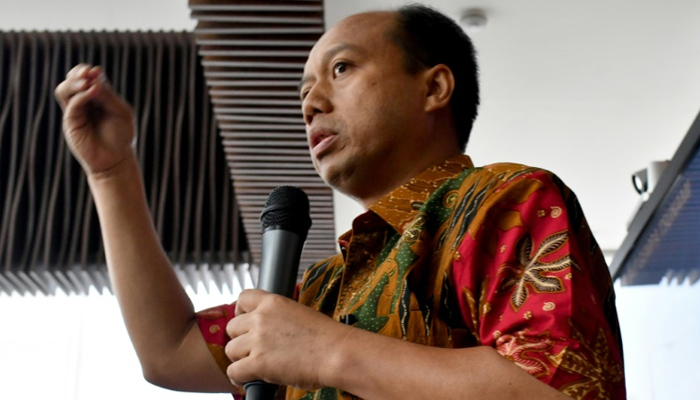 Nugroho, who has a doctorate in natural resources and the environment, took the job eight years ago in a bid to combine his education with a love of writing, he told the Jakarta Post earlier this year. "Illness or death is in God´s hands, but while I´m still alive I still want to do my best to serve others."